WASHINGTON — Iran is restarting their nuclear arms talks with the West back in Geneva, Switzerland. The talks were broken off after the U.S. expanded their sanctions and blacklist of Iranian companies and holdings. Reuters reported that the initial Iranian nuclear weapons agreement was heavily criticized in the U.S. by both political parties, including the ethically-challenged, liberal New Jersey Senator Bob Menendez. Israel was wary of this initial agreement and voiced their opposition to it, considering Iran’s strong rhetoric of annihilating the Jewish state. After expressing their doubts, the Obama administration gave the Israelis a call to allay their fears. 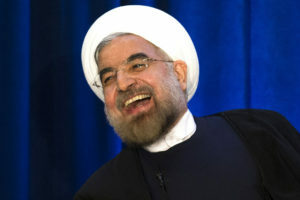 The initial agreement called for Iran to curtail its nuclear enrichment program within six months in exchange for the most significant easing of international sanctions in several years. But, this could only embolden Iran even more and some compared it to the European appeasement of Adolf Hitler before World War Two.